Lucknow (11/02/2019) : Lucknow’s Chaudhary Charan Singh Airport was abuzz with usual crowd and frenzy of activities on Monday as eager Congress workers awaited for the arrival of senior Congress leaders, who were scheduled to hold a road show. While Congress president Rahul Gandhi, Eastern UP General Secretary Priyanka and Western UP General Secretary Jyotiraditya Scindia were scheduled to reach only about noon, the workers had gathered at the welcome spot from as early as 9 in the morning. The whole stretch through which the roadshow had to pass was adorned in posters of Rahul and Priyanka. It was only around 12:00 that the leaders reached Lucknow airport. They boarded atop a bus and started the journey, which was lately unheard of for Congress in past many years. There were Drums and Dhols, flowers and petals, flags and banners and then there were supporters who were dancing, sloganeering and constantly keeping the pitch high through about 15 kilometres long stretch of road show. For Congress and its supporters it was a moment which they wanted to make best use of by announcing their re-arrival in the UP political battle. 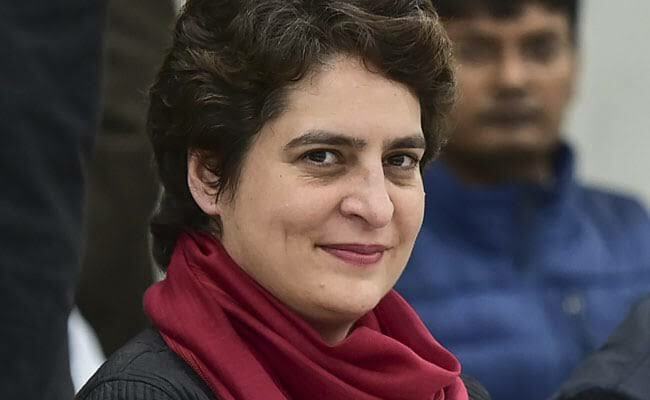 For Priyanka it was opportunity to reaffirm her hold on ground and for party it was the time to lay it’s claim for giving a tough fight in the land that it once proudly held. If todays roadshow is anything to go by, Priyanka certainly is going to give a lot many tough nights and fiery fights to her political opponents.